Prior to becoming a mother, business owner, and author of my blog, I worked as a community health educator for the American Cancer Society (ACS). I received my Master’s degree in Health Education from Utah State University and moved to California newly married, graduated, and landed the job of my dreams! 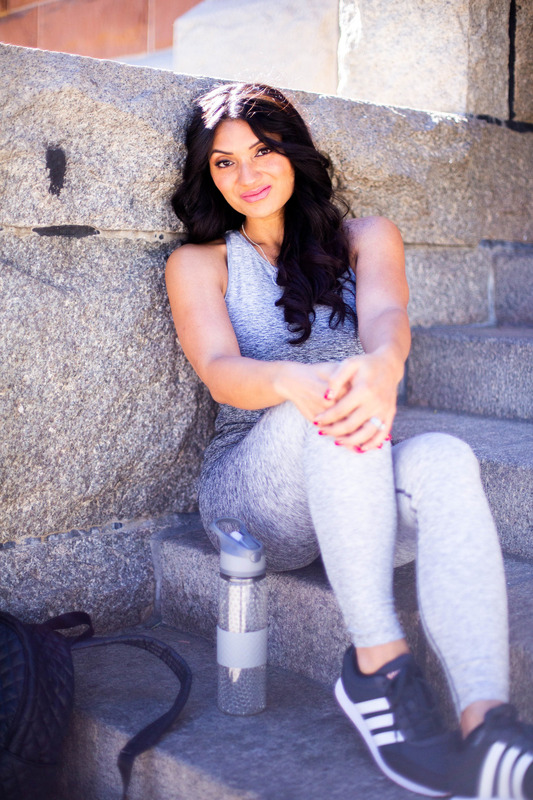 I am passionate about health, wellness, education, and children. So, you can only imagine how ecstatic I was to be selected as a Cancer Control Specialist for ACS. This is nothing more rewarding than to be a part of a nationwide community-based voluntary health organization dedicated to eliminating cancer as a major health problem. My primary role was to educate the children in the surrounding areas of Los Angeles about cancer prevention. My time was spent visiting schools and sharing information on how kids can decrease the impact of cancer through 3 specific lifestyle choices which are being tobacco-free, incorporating fruits and vegetables as part of a healthy diet, and engaging in regular physical activity. In addition, I promoted our worksite physical activity and nutrition health programs to companies. It was also a honor to work side-by-side with cancer survivors (who are just the most amazing volunteers and human beings) to spread awareness about our cancer-free initiatives and participate in community events designed to inspire and support those affected by cancer. Research, education, advocacy, and service were the four core initiatives that guided our daily efforts. I am proud to partner with AstraZeneca in sharing with you that November is Lung Cancer Awareness Month! There is so much to share and discuss about this important health topic. 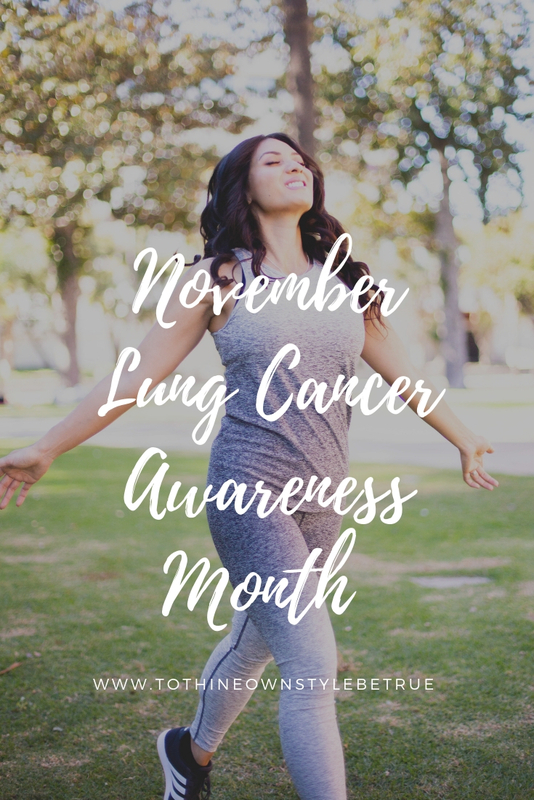 I am grateful for my platform as it allows me to contribute with you in sharing this important message about lung cancer awareness. Creating a dialogue about cancer can be difficult. Many of us have lost a loved one due to cancer. My hope is that this post will provide you with more information about lung cancer and that now more than ever, there is reason for hope. Lung cancer has no biases, it doesn’t discriminate. Lung cancer can affect anyone. Men, women, and even children can be affected by lung cancer. Whether you are an old smoker, non-smoker, or never smoker, lung cancer can affect you. This message is important. Please, continue to read. Thank you so much for reading this post. I invite you to join me in creating awareness of Lung Cancer Awareness Month for the month of November. If you have someone in your life who is affected by lung cancer encourage them to become their own health advocate. It is important they understand their diagnosis. It is critical that they have a discussion with their healthcare providers to determine which treatment options are the best for their unique situation. There is reason for hope now more than ever. My love goes out to you if you are affected with lung cancer or know who someone who is. Please contact your healthcare provider to design a personalized treatment plan that works for you or someone who you love that is affected by lung cancer. Please visit LIVE W.E.L.L.and LVNG With Lung Cancer for more information and feel free to share this post and those links with anyone you know that is affected by lung cancer! Hi Kate! Thank you for reading this important post. Thanks for sharing lung cancer awareness. My family has had its fair share of cancer, so awareness is important to us. Hi Joshua! Thank you for leaving a comment. Wishing your family the very best! Hi Neely! Thank you so much for reading. Thank you so much for posting this. This is beyond important and can save someones life. Hi Ally! Thank you so much for your support! My mother in law had lung cancer. She was only expected to live for a 3 months but ended up living 12 years. She was such a strong woman I look up to her so much. Hi Jennifer! Oh, my goodness! This is such fantastic news! She is a rock! Thank you so much for sharing! I didn’t realize you had worked with the cancer society, how awesome to make such a difference! No one in my family has smoked and I do my hardest to keep myself and my boys away from it. And we try to eat well and exercise. I know we can’t prevent cancer, but it definitely helps to try to minimize our risk. Hi Stephanie! Thank you for stopping by and reading. It sounds like you are doing the right things for you and your family! We try to do these things, too – AND just before we bought our family house (moving out of the city where all the houses have old lead paint), we got it tested for radon. We were one point under the “unacceptable” limit, meaning we couldn’t get the seller to pay for the remediation, but we did it anyway – just before we bought this house, my mama’s hairdresser (who also lived healthily/never smoked and was just older than me) died of lung cancer quite suddenly, and all they could conclude was that her home’s radon level must have been high! This is a subject familiar to me, as a member of my family is a survivor and i know others who didn’t fare well. Awareness and affordable treatment are critical conversations we must have. You have said it so well! Thank you so much for reading! This is such an informative post about lung cancer! Thanks for spreading awareness! Hi Kim! I am so glad you found this information helpful.